The global equity selloff has helped make Vietnam a lot more attractive to at least one London-based fund manager. Ashmore Group Plc has doubled its exposure to Vietnamese stocks since the end of the first quarter, according to fund manager Andrew Brudenell. The group, which managed $76.4 billion as of end-September, now sees the country’s banking sector and some consumer stocks as notably cheaper. The VN Index has fallen 23 percent from its April 9 record high, battered by concern over the trade war between the U.S. and China. The MSCI Asia Pacific Index has declined 13 percent over that same period, while the S&P 500 Index has gained more than 1 percent. Vietnam’s benchmark gauge is trading at 13.5 times 12-month expected earnings, down from over 20 in April. 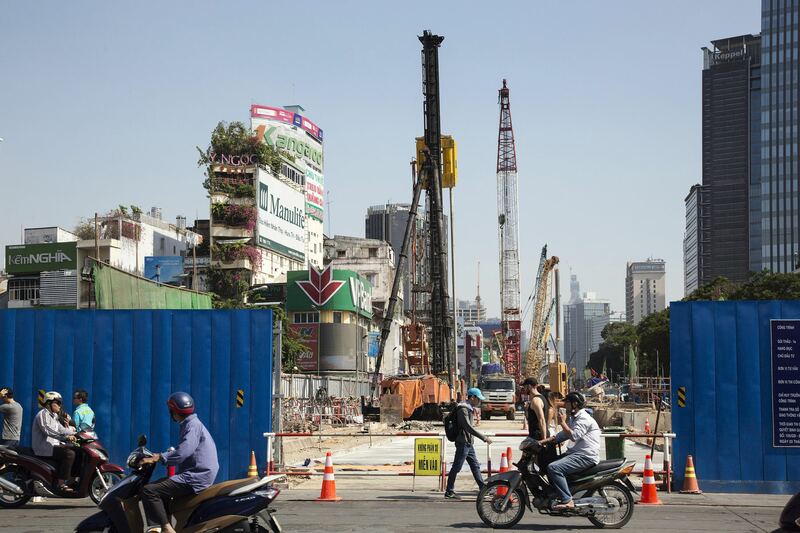 Vietnam’s real estate stocks still look “very expensive,” and their possible collapse poses a risk for the market, Brudenell said. Another reason for caution is possibly faster inflation, including that tied to movements in the dong against the Chinese yuan. Still, Ashmore is “positive” on Vietnamese stocks overall. The country’s gross-domestic product growth is strong, the currency is not under too much stress and corporate earnings growth “should be pretty decent,” Brudenell said. Vietnam being in the spotlight thanks to this guy. If the stocks look too expensive, it's kind of a general sign that it may possibly drop soon.